First Sergeant (1SG) is typically a senior non-commissioned officer rank, used in many countries. In NATO armed forces the rank is on OR8 level. First Sergeant is a specialist in the Singapore Armed Forces. First sergeants are the most senior of the junior specialists, ranking above second sergeants, and below Staff Sergeants. 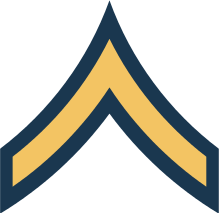 The rank insignia for a First Sergeant features the three chevrons pointing down shared by all specialists, and two chevrons pointing up. In combat units, First Sergeants are very often platoon sergeants, or given the responsibility for independently operating detachments of support weapons. They are often given instructional billets as well in training schools. First sergeants normally answer to the company sergeant major, assisting the latter in the mentorship, guidance and command of the more junior specialists (Third and Second Sergeants) who are section commanders. In the United States, a First Sergeant generally serves as the senior enlisted advisor (SEA) of a unit, such as a company, battery, troop, or a USAF squadron or higher level unit. (USA and USMC squadrons and battalions, as well as all higher level units, have a Command Sergeant Major [USA] or Sergeant Major [USMC] as the SEA). (While the specifics of the title may differ between the United States Army, Marine Corps and Air Force, all First Sergeants can be identified by the presence of a lozenge-shaped (colloquially "diamond") figure on their rank insignia. In the United States Army, the rank of first sergeant (abbreviated 1SG) is an E-8 paygrade rank above the rank of sergeant first class (SFC), and below the rank of sergeant major (SGM) or command sergeant major (CSM). It is equal in grade to master sergeant (MSG), although the two ranks have different responsibilities. Both ranks are identical with three chevrons up, standard sergeant insignia and three curved stripes underneath "down" known as "three up and three down", though the first sergeant has the lozenge "diamond" in the middle. A first sergeant is generally senior to a master sergeant in leadership matters, though a master sergeant may have more general military authority such as when in charge of a military police (MP) section. The rank is abbreviated as "1SG" in the Army. 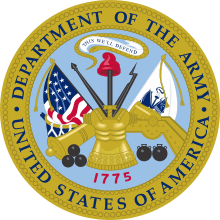 Master sergeants are laterally appointed to first sergeant upon selection by the senior leadership at Department of the Army, while qualified sergeants first class are promoted, depending on available billets and opportunities. 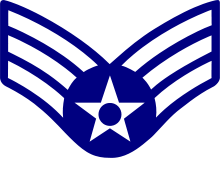 A promotable sergeant first class or a master sergeant may be selected for promotion to or appointment as a first sergeant and may assume the duty. Upon reassignment to a non first sergeant billet, the soldier reverts to their original rank of master sergeant, unless promoted to the E-9 grade ranks of SGM or CSM. CSM is a leadership position that is a higher ranking equivalent of 1SG on a battalion level or higher command, while SGM is an MOS-specific technical equivalent to a MSG on a battalion level or higher command or in certain specialty billets. The position of first sergeant is the highest US Army NCO rank position that is still in a direct "hands-on" leadership setting, as are command sergeant major (CSM/ E-9) positions in a battalion command or higher level unit assignments of higher rank. CSM's have expanded administrative duties, and less direct leadership duty requirements with enlisted and junior NCO Soldiers than do 1SG's. First sergeants are generally the senior non-commissioned officers of company (battery, troop) sized units, and are unofficially but commonly referred to as "top", "top sergeant", "top soldier", "top kick", "first shirt", due to their seniority and their position at the top of the company's enlisted ranks. In the Bundeswehr, the German Army, the first sergeant (German: Oberfeldwebel) is called "father of the unit", a concept also in place in the US Army. They are sometimes referred to as "second hat" because the Company Commander may entrust them with important responsibilities, even over one of the company's lieutenants, especially junior lieutenants. First sergeants handle the leadership and professional development of their soldiers, especially the non-commissioned officer development and grooming of enlisted Soldiers for promotions. They also manage pay issues, supervise administrative issues, recommend and prepare enlisted Soldiers for specialty and leadership schools, reenlistment, career development and they manage the promotable soldiers within the company. First sergeants and are the first step in disciplinary actions such as an Article 15 (non-judicial punishment) proceeding. A first sergeant may place a soldier under arrest and on restriction to quarters in certain cases, as well as manage all of the daily responsibilities of running the company/unit. Logistics are a specific "first sergeant's end issue." It is often said that a commanding officer commands a company-level unit, but a first sergeant "runs" it. Many units are directly impacted by the strength of the first sergeant. Some Army National Guard first sergeants remained in their state guard under Title 32 USC until just shy of their 62nd birthday, and would stay in one company-level unit for decades, thus having more years in the first sergeant position than the age of a new captain or first lieutenant commanding officer. This scenario, often fondly referred to by Guard troops as "Top For Life" or "TFL", for long-serving guard first sergeants, became more rare since the mass federal combat deployments and callups beginning in Gulf War era, when most states adopted some type of a statewide guard promotion system vs. internal unit promotions in the National Guards. This caused most leadership positions to rotate more frequently, limiting the tenure of most first sergeants. 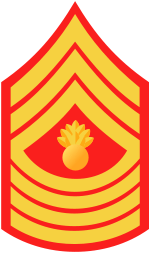 U.S. Marine Corps First Sergeant rank insignia. 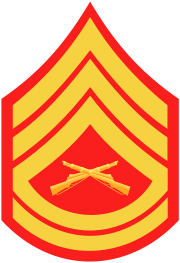 In the United States Marine Corps, first sergeant (abbreviated 1stSgt) is one rank above gunnery sergeant and one pay grade below sergeant major and master gunnery sergeant. It is equal in grade to master sergeant (E8), although the two ranks have different responsibilities. A first sergeant has command leadership responsibilities and serves as the senior enlisted adviser to the commander at the company, battery or detachment level, while master sergeants have technical responsibilities within their respective occupational fields, and serve important leadership roles within various company or battery sections. Master sergeants may also perform staff functions at the battalion/squadron level or above. Unlike first sergeants and master sergeants in the U.S. Army, no lateral movement is possible between the two ranks in the Marine Corps; they're permanent appointments and require a change in occupational specialty. Rather, gunnery sergeants elect a preference on their fitness reports, which are considered before promotion. Ultimately, those selected for either rank are appointed based on suitability, previous duty assignments, and the needs of the Marine Corps. Later in their careers, first sergeants are eligible to be considered for promotion to sergeant major, while master sergeants would be on the career track for master gunnery sergeant. 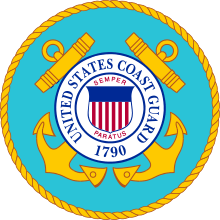 The grade of first sergeant initially appeared in the Marine Corps in 1833, when Congress created the ranks of "first sergeant of the guard at sea" and "orderly sergeant of the post" (of which 30 billets for the rank were established). In 1872, the Corps replaced the title of orderly sergeant with the rank of first sergeant. The rank of first sergeant was another casualty of the rank realignment of 1947. It was reestablished in 1955. 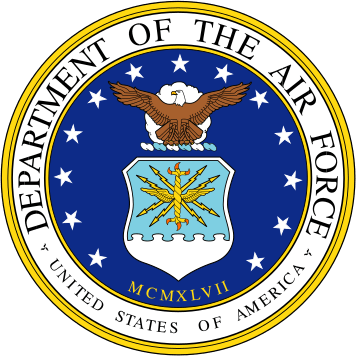 In the United States Air Force, first sergeant is not a rank, but a special duty held by a senior enlisted member of a military unit who reports directly to the unit commander. This billet is held by individuals of pay grades E-7 through E-9 (master sergeant, senior master sergeant and chief master sergeant), and is denoted on the rank insignia by a lozenge (known colloquially as a "diamond"). Often referred to as the "first shirt", or "shirt", the first sergeant is responsible for the morale, welfare, and conduct of all the enlisted members in a squadron and is the chief adviser to the squadron commander concerning the enlisted force. Most units have a master sergeant in this position. Larger units use senior master sergeants and chief master sergeants as first sergeants. Some law enforcement agencies, especially state police and highway patrol organizations have first sergeants, who are typically in charge or command of a detachment, district, region, barracks or post consisting of anywhere from ten to fifty or more troopers or officers. Most law enforcement first sergeants are mid-level management leaders, with ten to thirty or more years of service. NC Highway Patrol first sergeants for example, must complete the 6-weeks advanced police management training institute at the Southern Police Institute (SPI) in Louisville KY. Other states also use SPI, or Northwestern University IL or the FBI National Academy (FBINA) Quantico VA. Some such state agencies may have a first sergeant in charge of special state police or highway patrol units such as SWAT, K-9, aviation, personnel, major traffic accident reconstruction, research, public information, logistics, training, recruitment, internal affairs, communications, detectives, administration, and other sections or services other than general patrol. Some municipal and county agencies also have a first sergeant. Civil law enforcement first sergeants are senior to sergeants and junior to lieutenants. The insignia of such a first sergeant is usually similar to a military first sergeant but may only may have a chevron of three stripes with no bottom curved stripes "rockers", or just one or two rockers, but generally always have the lozenge under the chevrons. The rank insignia may be displayed by sewn-on sleeve shoulder stripes, slip-on epaulet stripes or pin-on metal stripes of black, silver or gold tone that may be pinned on the collar or epaulet. ↑ The abbreviation "OR" stand for "Other Ranks / sous-officiers et militaires du rang" see: NATO glossary abbreviations used in NATO documents and publications / Glossaire OTAN des abréviations utilisées dans les documents et publications OTAN (PDF). 2010. p. 237. ↑ "Specialists". SAF Military Ranks. Ministry of Defence Singapore. 6 May 2010. Retrieved 16 June 2013. ↑ Wright, R. The Continental Army (2006) Center of Military History: Washington, DC. 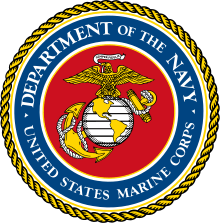 ↑ "World War II era Marine Corps enlisted ranks". Ww2gyrene.org. Retrieved 2016-02-04.